I have been playing with the code for my upcoming TinyPi Project, and someone pointed out an oddity. After much playing with uinput, i managed to get the gpio connected buttons of the TinyPi board seen to the system as a controller. I thought that this would be the best option, thinking that a controller would be the best direction for the gaming system. so im assuming that this is actually processing the joystick commands, and then converting them into keyboard commands? Would I actually be better off just creating keyboard events rather than joystick events, or would this code still end up running? I obviously want to keep things as streamlined as possible, so another program being there pretty much duplicating what I am doing seems weird to me!! It would indeed. However, joy2key.py is only active during the time that the Runcommand window is active. Once the Runcommand menu exits, joy2key.py exits as well. For my xboxdrv mappings, I have it scripted to wait for joy2key.py to launch, loop until it exits and launch xboxdrv afterwards. This has worked out pretty well for me and allows use of the Runcommand window without another key-mapping program (xboxdrv) interfering. 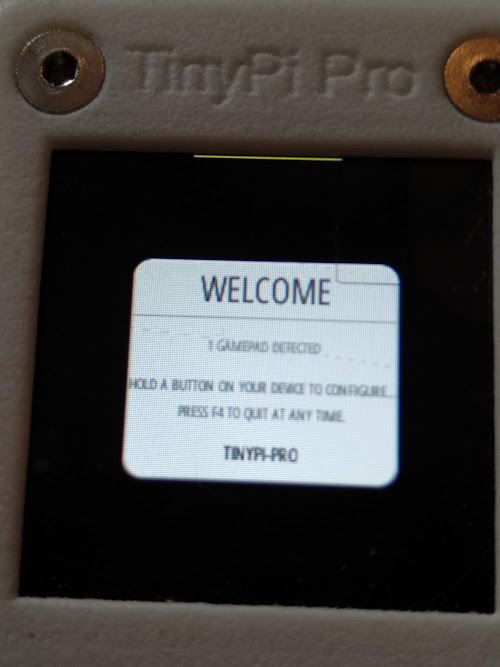 Why is joy2key active since an emulator core (retroarch) is running? Do you have some dialogs in background open? The runcommand script should remain active throughout your gaming session. However, joy2key.py is supposed to exit alongside the Runcommand menu. Just to be completely clear, is this not the case for you? @mediamogul that is what happens. i always assumed runcommand was just a quick run job before the emulator starts, but it makes more sense that its actually triggering the emulator too. are all the emulators normalised then, to use the same keys as input, or does the Joy2Key run differently for each emulator? No, as @mediamogul said, joy2key is not used by any emulators, just by Runcommand (and the RetroPie-Setup menu, when started from ES). @moosepr You can see the work of the joy2key in the Midnight Joy [SCRIPTLET]. This script will run MidnightCommander (a file manager for shell) and assign some keyboard keys to joy2key so you can do file actions with your controller. Otherwise you need a SSH or keyboard connection to control this tool. 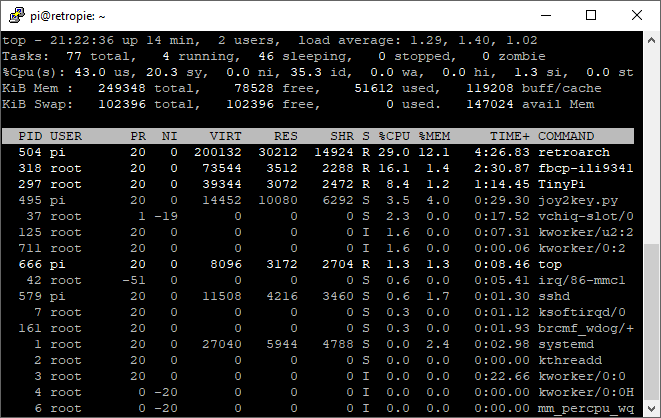 It's only active for the duration of the Runcommand window. After the Runcommand window exits, so does joy2key.py. That being the case, it's never really wasting any CPU time. @moosepr Please add more info about your system - https://retropie.org.uk/forum/topic/3/read-this-first. If you stop your uinput script, does joy2key still remain resident ? ok so further testing. If i use adafruit retrogame, i see Joy2key appear in Top at about 20% cpu, then after a few seconds it disappears.